Danger Mouse and Karen O. have combined forces for the album Lux Prima. Karen Lee Orzolek, or Karen O, is the stage-stomping frontwoman for the rock trio the Yeah Yeah Yeahs. But her latest work wasn't with the American indie rock band. Instead, Karen O teamed up with Brian Burton, better known as Danger Mouse — a Grammy-winning musician who has worked with artists like Adele and The Black Keys. In a combination of forces, the superstar duo has produced a new album called Lux Prima. The album's title track features ethereal, laid back orchestration as Karen O sings, "No sun on the glass / No darkness / No eyes / Nobody but you." This nine-minute song is the first the pair wrote during their first week working together — it was written while they were still getting to know each other. "That was our entry point into making music together," Karen O told NPR's Lulu Garcia-Navarro on Weekend Edition. The ideas for the song sprang forward after they had been listening to several longer songs — such as Michael Kiwanuka's track "Love and Hate." After four or five days of trying new ideas, Danger Mouse said the song "Lux Prima" simply linked all their ideas together. "It was our first week and it actually would be less pressure to do something that's really long like that because it can be whatever it needs to be," he said. Neither one of them remembers how they initially met, but Danger Mouse said he remembers being in the same room as Karen O when he was DJing an event with Iggy Pop in 2004. Years later, in 2008 they were talking to each other after an event in New York City when they decided to collaborate. "I just really wanted to work with Karen and see where it went," Danger Mouse said. "I love her voice and immediately it was just — we kind of wanted to make something beautiful." Out of the nine songs on the album, Karen O's favorite is "Ministry." In the dream-like track, her breathy voice harmonizes against a soft-guitar, singing, "day by day, I'll turn my dreams / Into a ministry, a ministry, a ministry of her love." Funnily enough, Danger Mouse admitted that he cannot actually play guitar very well. He said the guitar sounds in the song were created using a guitar note on his keyboard. Initially, he played the notes for Karen O and asked what she thought. That's when she came up with the bridge for the song. "It's been a song that's kind of been like almost a therapeutic song for me to listen to since we wrote it," Karen O said. "It's a warm place for me." Most of the album's lyrics didn't come as easily to the duo. Both of them admitted that lyric writing was a tough, almost torturous process. "It's like blood from a stone with me," Karen O said. "It's a process of a stream of consciousness and also like self-editing at the same time." The collaboration between Danger Mouse and Karen O extends beyond just this album. They plan to pair their music with an immersive art installation at the Marciano Art Foundation in Los Angeles in April. The event, which Danger Mouse called the "ultimate listening experience," is already fully booked. "The installation is kind of crafted so it just like it's just kind of heightens all those senses that arise when you're listening to something and you're sailing into your imagination," Karen O said. 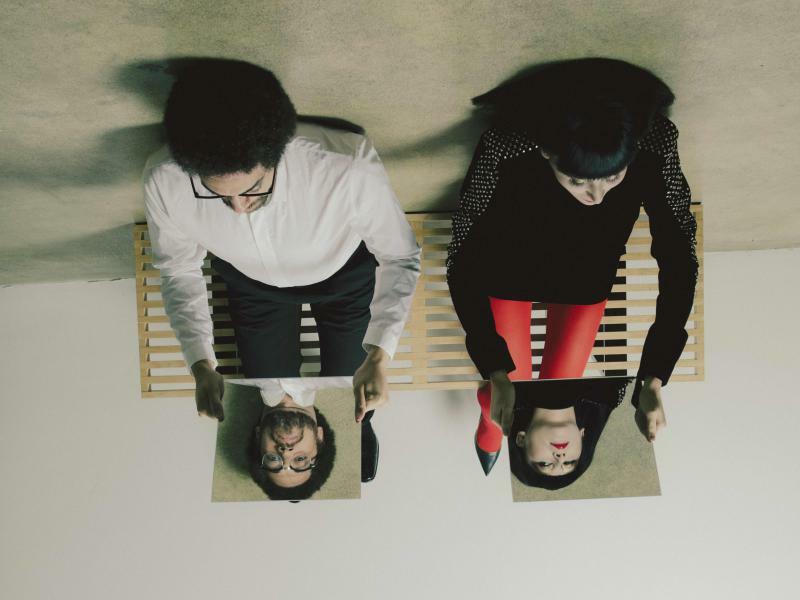 The listening experience was a big consideration for Karen O and Danger Mouse in making this album, they said — that's why the first and last song on the album are similarly orchestrated. "It's kind of a circle and you do just want to kind of listen to it on repeat rather than just like a single song off it," Karen O said. Even if listeners can't make it to the art installation, Danger Mouse said he hopes the album is a soundtrack that can relate to anyone's life. "It's something that puts you into a certain place and you're like, 'Man this would be great to put myself or other people in this place too,' " he said. She's the stage-stomping frontwoman for the rock trio the Yeah Yeah Yeahs. GARCIA-NAVARRO: And he's a Grammy-winning musician. He's worked with artists like Adele, The Black Keys and Gnarls Barkley. GARCIA-NAVARRO: Together, Karen O and Brian Burton, better known as Danger Mouse, are combining forces for the new album, "Lux Prima." Both are joining us now from NPR's studios in New York City. Welcome to the program. KAREN LEE ORZOLEK: Thank you, hi. GARCIA-NAVARRO: Hi. The title track, "Lux Prima," is a nine-minute track that features these spacey sense (ph) and orchestration. Let's listen. KAREN O AND DANGER MOUSE: (Singing) No eyes open, no eyes closed, no smoke on your breath, no eyes closed. No sun on the glass, no darkness, no eyes, nobody but you. GARCIA-NAVARRO: So tell me about this song. ORZOLEK: Yeah, well, so that was our - our entry point into making music together. ORZOLEK: Yeah, it was, like, the first song that we wrote. And I think Brian had just played me something he'd produced off of Michael Kiwanuka's "Love & Hate" that had, like, a really quite beautiful grand intro. And then, also, we were just, like, playing some long songs. And I think that we kind of had, like, an idea, like, you know. BURTON: Yeah, yeah. It was our first week. And I just really wanted to work with Karen and see where it went. You know, I love her voice. And immediately, it was just - we kind of wanted to make something beautiful. We just wanted it to be beautiful. And so whatever that meant, that's what kept kind of coming up. GARCIA-NAVARRO: Karen, what's your favorite song on the album? GARCIA-NAVARRO: So talk me through this song. ORZOLEK: You can start with the sample. ORZOLEK: Oh, that's what it is. BURTON: ...On a keyboard. And I just played it for Karen and said, hey, what do you think? This is one of the few times where there was something sitting around, and she quickly - like, something came to it. ORZOLEK: Yeah, I immediately came up with the bridge, actually (laughter). ORZOLEK: Which I thought was, like, there's just no topping the bridge. And then Brian, you know, broke the bad news to me that that wasn't - you know, that we needed a verse that went before it. (Laughter). ORZOLEK: But yeah, it's been a song that's kind of been, like, almost a therapeutic song for me to listen to since we've - since we wrote it. It's a warm - it's a warm place for me. KAREN O AND DANGER MOUSE: (Singing) So day by day I'll turn my dreams into a ministry, a ministry, a ministry of her love. Day by day, I'll turn my dreams into a ministry, a ministry, a ministry of her love. GARCIA-NAVARRO: I think I read that you two think writing lyrics is torturous. ORZOLEK: No, no, I - no, I have met people who love writing lyrics, actually, and fill, like, books. Like, you know, over - like, Patti Smith is like that, actually - just, like, overflowing books of lyrics. I'm, like, definitely the opposite. It's like blood - blood from a stone with me. It's a process of kind of stream of consciousness and also, like, self-editing at the same time. So it's tough, but, you know, the art of it is important to me. KAREN O AND DANGER MOUSE: Won't you come be my friend? Won't you come be my friend? 'Cause the only other friend I could ever be is to me. GARCIA-NAVARRO: Tell me about the song "Woman." BURTON: ...Recording session, something like that. And we were trying to do something a little bit more uptempo just because we had been really in, you know, feel-sorry-for-ourself mode for a while. BURTON: It was just - it felt good. BURTON: Yeah, it was good, but - and this happened really quick. You just went in and started singing. ORZOLEK: Yeah, it was, like, a pretty primal - a primal output that was going on. KAREN O AND DANGER MOUSE: (Singing) I'm a woman, what you see. I'm a woman, what you see. I'm a woman, what you see. What you see ain't what I be. GARCIA-NAVARRO: No, that's not how it works? GARCIA-NAVARRO: I'm just trying to imagine. BURTON: You can turn around and look and see what you've done and go, oh, we've been sad for two weeks. BURTON: Or it's just - it's mostly, I mean - for myself, it's mostly influenced by other music. You know, that's the thing, is something that puts you into a certain place. And you're like, man, this would be great to put myself or other people in this place too. BURTON: And that's kind of your starting point. GARCIA-NAVARRO: That was Danger Mouse and Karen O. Their new album, "Lux Prima," is out now. Thanks to you both. BURTON: Thank you. Transcript provided by NPR, Copyright NPR. This week's somewhat abbreviated edition of New Music Friday includes an ambitious collaboration between Yeah Yeah Yeahs singer Karen O and producer Danger Mouse; the British electronic duo The Cinematic Orchestra returns with its first new album in more than a decade, featuring singer Moses Sumney, rapper Roots Manuva and other guests; and Pavement's Stephen Malkmus injects his woozy rock with a strange jolt of electronica. Host Robin Hilton is joined by NPR Music's Stephen Thompson as they share their picks for the best new albums out on March 15. 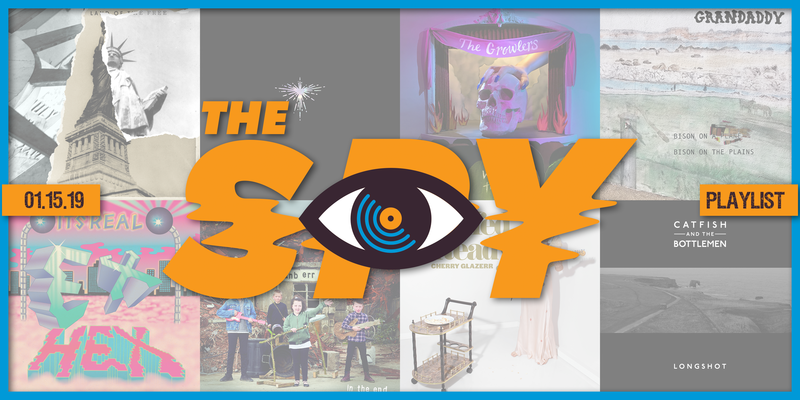 Every Tuesday, The Spy adds new music to its rotation. Here are the adds for the week of January 15th, 2019. This week includes a new single from L.A. punk rock heroes Cherry Glazerr, the first single from The Cranberries final album, and yet another single from the prolific beach goths The Growlers. Give these a listen and be sure to tune into The Spy to hear more!